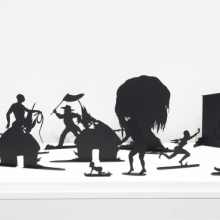 Kara Walker subverts the original function of nineteenth-century cut-paper silhouettes, initially used for portraits of socially prominent individuals. She reinterprets the medium to create intense explorations of relationships based on power. Here, working in cut steel, Walker includes stereotypical Civil War imagery of the South—a stately plantation mansion, small huts, enslaved African Americans, Confederate soldiers, and Southern belles. As she explores stereotypes, Walker offers no resolution, and her presentation includes neither villains nor heroes. This “play set” even seems to suggest that the cast of characters and their settings could be reorganized, creating new narratives that revolve around issues of oppression and power, race and gender, and moral ambiguity. 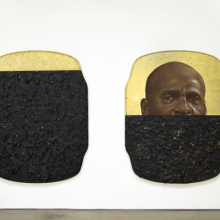 Titus Kaphar’s The Jerome Project (My Loss) belongs to a larger series of the same title that the artist began in 2011. Searching online databases for his father’s prison record, he found dozens listed who shared his father’s first name, Jerome, as well as his surname. Struck by this discovery, he created ten-inch portraits of each Jerome, based on their mug shots. The diptych on view here shows Kaphar’s own father, at a much larger scale than in previous works in the series. 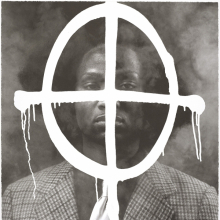 Depicting African American men, who are greatly overrepresented in the prison system, the portraits are simultaneously individual and collective. The panels were painted on flat gold-leaf backgrounds and partially submerged in tar. Initially, the level of the tar reflected the percentage of each lifetime spent in prison, but Kaphar abandoned this formula in acknowledgment of incarceration’s lingering aftereffects, such as difficulty securing employment and loss of voting rights. The portraits draw on the visual tradition of Byzantine icons, specifically depictions of Saint Jerome, patron saint of students, librarians, and scholars. 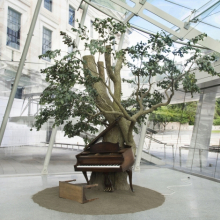 In Blossom, a piano inexplicably fused with a tree plays “Strange Fruit” (in an arrangement by the artist). The song, popularized in the 1930s by Billie Holiday, protests the atrocity of lynching: “Southern trees bear a strange fruit, / Blood on the leaves and blood at the root, / Black bodies swinging in the Southern breeze, / Strange fruit hanging from the poplar trees.” The haunting lyrics suggest that the fused piano may be read as a surrogate for a violated human body. Influenced by a 2006 incident in Jena, Louisiana, in which nooses were dangled from a tree at a racially troubled high school, the piece also evokes the rich cross-cultural symbolism of trees: Biggers alludes to the story of Buddha finding enlightenment under a bodhi tree. This unlikely combination demonstrates his interest in multiplicities of both inspiration and interpretation. 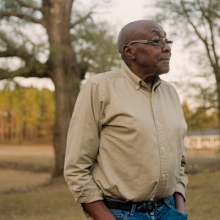 The Legacy of Lynching: Confronting Racial Terror in America seeks to spark an honest conversation about the legacy of racial injustice in America today. 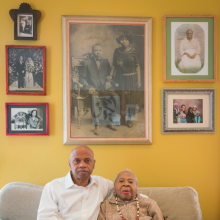 Coordinated in collaboration with the Equal Justice Initiative (EJI) and Google, this exhibition presents EJI’s groundbreaking research into the history of lynchings and connects it to artworks and archival material from the Brooklyn Museum’s collections. 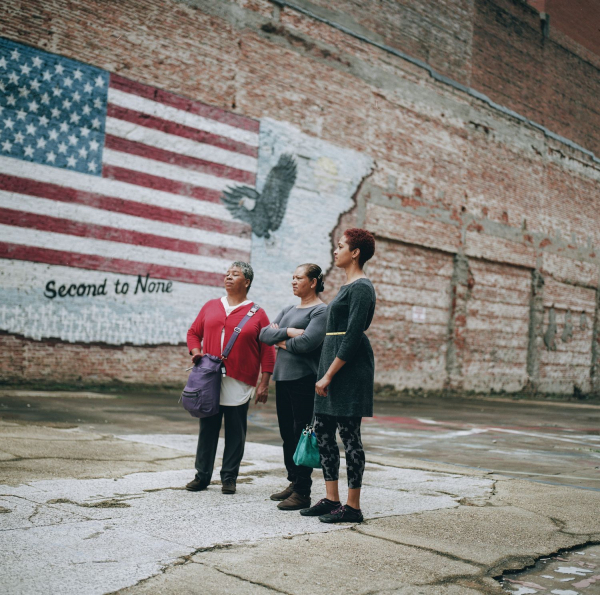 The exhibition also features EJI’s plans to open a national monument in 2018 in Montgomery, Alabama, named The Memorial to Peace and Justice, commemorating victims of racial terror lynching. 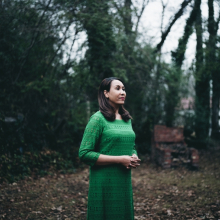 The memorial will be accompanied by a museum, “From Enslavement to Mass Incarceration,” exploring the legacy of slavery, segregation, and mass incarceration. The narrative of racial difference continues to haunt our country. After slavery was formally abolished, in 1865, racial terror lynching emerged in the late nineteenth century, and continued until about the middle of the twentieth century, as a vicious tool of racial control, to reestablish white supremacy and suppress black civil rights. The aftereffects are still with us today—from issues of mass incarceration to disproportionate sentencing of people of color. Throughout the Brooklyn Museum’s history, our exhibitions and public programs have confronted difficult and urgent issues because we believe that great art and courageous conversations contribute to a more just, civic, and empathetic world. We are proud to showcase the work of six photographers commissioned by EJI to illustrate the oral histories on view—Melissa Bunni Elian, Kris Graves, Raymond Thompson, Andre Wagner, Bee Walker, and Rog Walker—and the documentary Uprooted, as well as Museum collection artists whose practices respond to racism in the United States in several forms: Sanford Biggers, Mark Bradford, Elizabeth Catlett, Melvin Edwards, Theaster Gates, Rashid Johnson, Titus Kaphar, Jacob Lawrence, Glenn Ligon, Dread Scott, Clarissa T. Sligh, Kara Walker, and Jack Whitten. 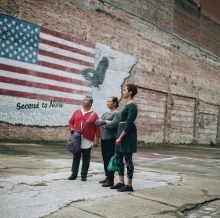 To approach this topic respectfully, the exhibition focuses on personal stories. It does not contain explicit photographs or illustrations. 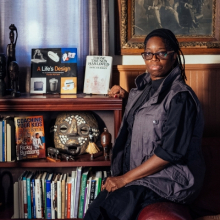 The Legacy of Lynching: Confronting Racial Terror in America is organized by the Brooklyn Museum and the Equal Justice Initiative with support from Google. 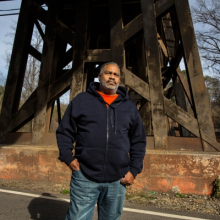 Learn more about the memorial and EJI's Research on lynching.